The Swan was launched in 1900 and is 20.5m long. She was one of the finest boats among the Scottish fishing fleet, and was the largest ever built at Lerwick in Shetland, but the Fifies’ days were numbered - steam drifters were already beginning to push sail boats out of business. Two types of vessel dominated; the Fifies, and the Zulus. These massive timber boats were unique to the Scottish fleet, and were the ultimate development in Scottish herring sail boats. 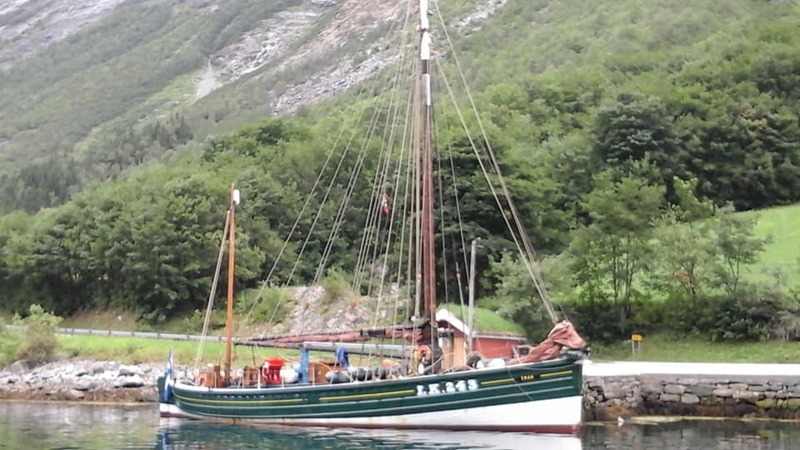 Having survived two world wars and the threat of destruction, the ship has now been authentically restored to her former glory by The Swan Trust. The restoration was a painstaking process, which took 6 years to complete. Local craftsmen with specialist knowledge worked to faithfully restore her to her former glory. On 11th May 1996 the Swan proudly spread her wings. She was relaunched in Lerwick harbour, almost 96 years exactly since she first took to the water. The Swan Trust offers voyages around the Shetland Islands, and to other destinations such as the Faroes, Norway, Iceland and Amsterdam.